I’ve been thinking a lot about creative processes recently – about how, if all one sees is the end product, it’s easy to assume that the creator produced it effortlessly. 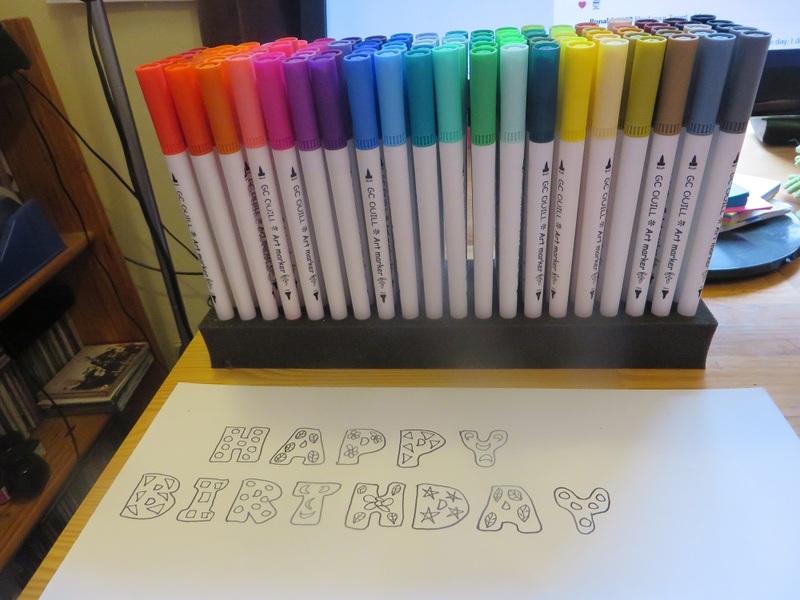 This morning, as I was doodling a happy birthday message for Susan, I was thinking about this again. Now, I don’t pretend that my doodles are works of creative genius, but I’ve picked up little tricks so that I can do them quickly, and not get bogged down in the process. 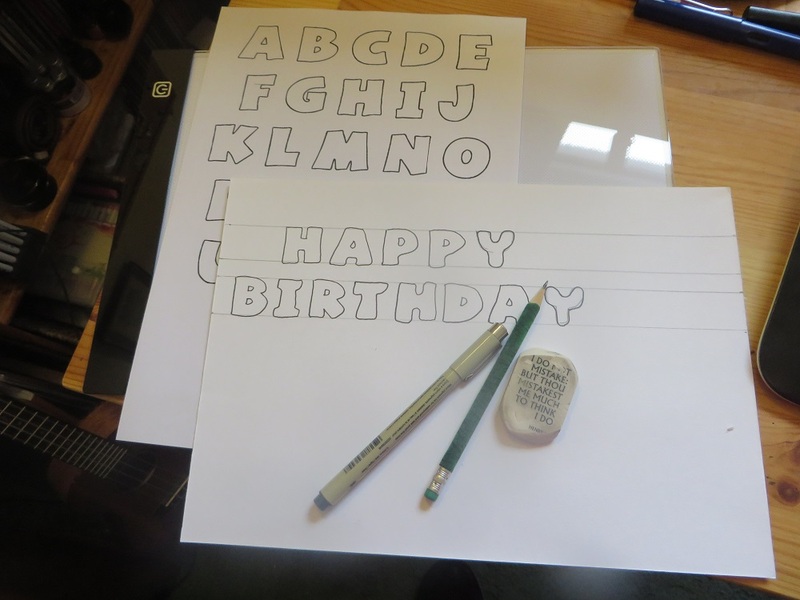 The first of these is to use a light box and printed letters in order to quickly trace shapes onto paper – it’s not that I can’t do this myself, but it makes it so much quicker this way. I also draw parallel lines in pencil to keep the writing straight, and rub them out before I start to colour. Doing this means that I can spend all of my time on the fun part of the doodling – deciding how to colour the letters in, and then actually colouring them. I still procrastinated for way too long doing this (I have a way overdue article to finish), but it gave me some time to think about what I wanted to write – or that’s my excuse. I think it’s important to share processes like this with students as well – if all they see are the perfectly polished articles etc. that we produce, it’s easy for them to think of academic writing as something that only some people can do, and not to realise that it’s also based on tricks we’ve learnt to make it easier for us. I try to share my tricks with my students at essay writing time, but I’d like to do more about this. 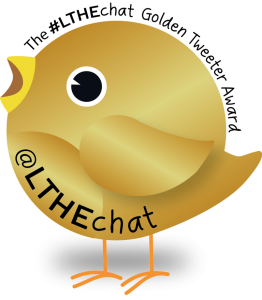 This entry was posted in #CLMOOC, Learning and tagged #clmooc, doodles. Bookmark the permalink. Love open thinking about doodling. Maybe this could apply to our feelings for the recipients or our cards informing our choice of words or images?